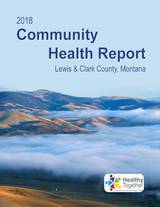 A joint publication of Healthy Together, a community partnership to improve health in Lewis and Clark County. Includes information on demographics, length and quality of life, health behaviors, access to health care, factors that influence health, and health disparities and inequities. It also includes results of two community surveys about health and health care. The following brochures produced by the health department are free for public use. Click on the name of the guide to download. Bats can be helpful creatures. They eat tons of insect pests. But bats can carry rabies, and they can infect people with this deadly disease. Never touch a bat! Wildfires produce smoke that contains dangerous pollutants. These can hurt your eyes, irritate your respiratory system, and worsen chronic heart and lung diseases. Healthy habits can protect everyone from getting germs or spreading germs at home, work, or school. While the focus during flooding is often on protecting property, don't forget to protect the health and safety of you and your family. Gardening in soil that may be contaminated with lead can create special challenges. Follow these tips to make sure the produce you grow is healthy and safe to eat. Travelers and women who are pregnant or plan to become pregnant are most at risk from this disease spread by certain kinds of mosquitoes. State law requires individuals to control and shield all junk vehicles from public view. Our Environmental Services Division can haul away those old junkers for free.